Hi! Here it is half-way through growing season (and day two of summer!) and I am just now getting on board with the GIEI blogging! 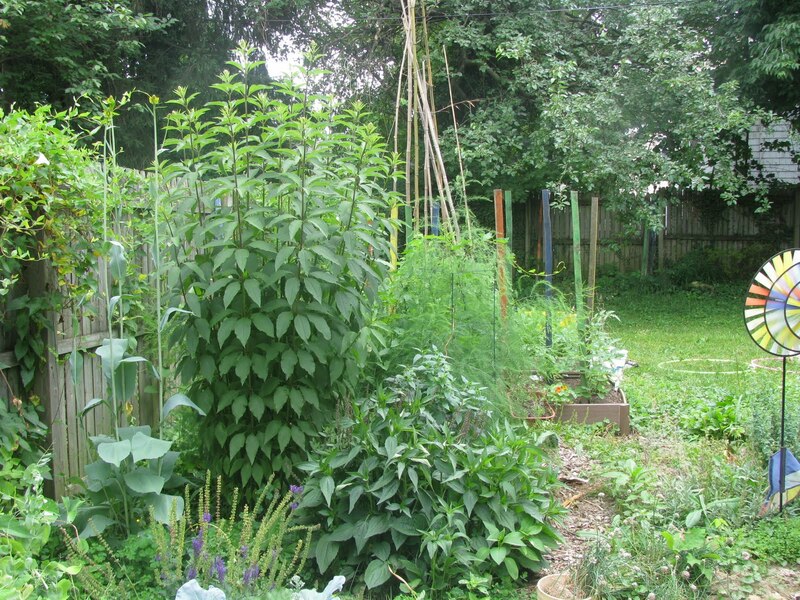 I am sweltering here in Baltimore City… Just some background on our garden. 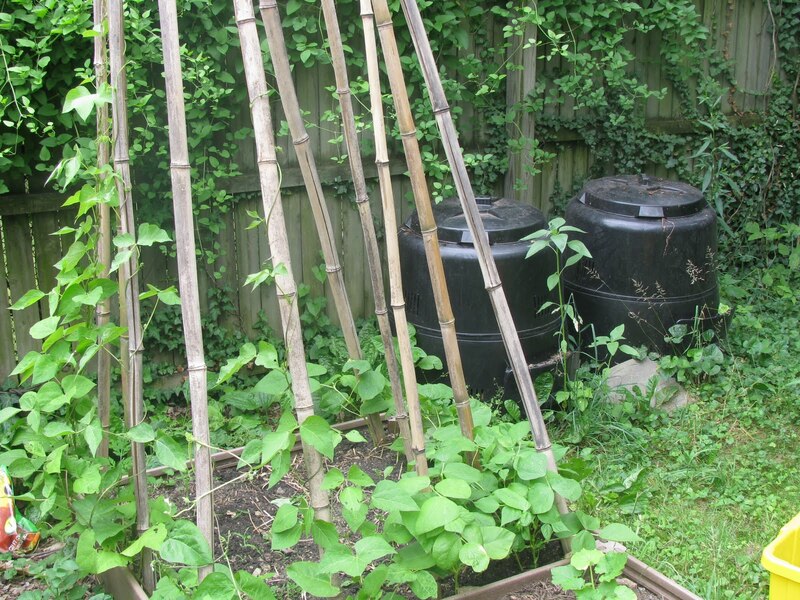 I was a Peace Corps volunteer in Mali (West Africa)—that was my first garden. We grew papaya and onions, had to water twice a day (from a deep, deep well with a little rubber bucket we pulled by hand) and everything dried up before the end of hot season. Here in Baltimore, I grow food in raised beds, mostly because it makes weeding easier. We also have had to design around a squirrel-chasing mutt and a rambunctious toddler. 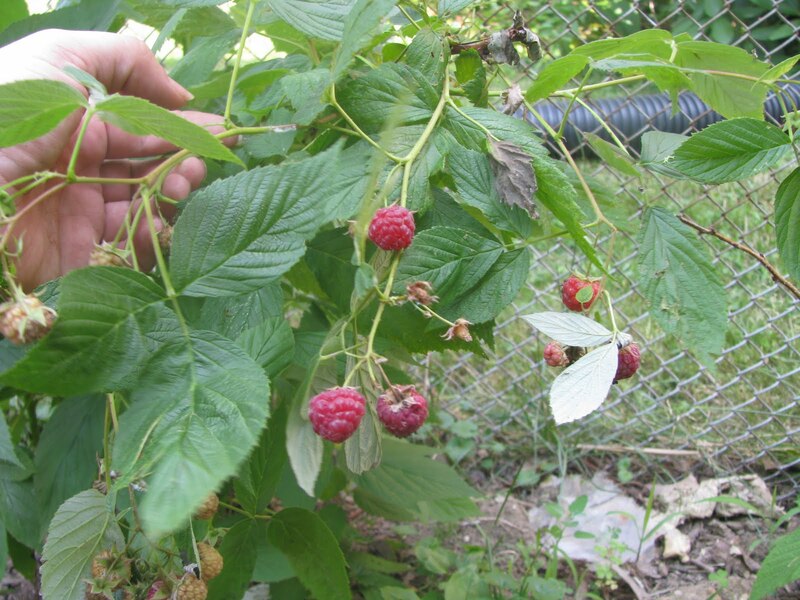 To get started, last fall I lined the front yard’s east-facing chain link fence with a variety of berries. 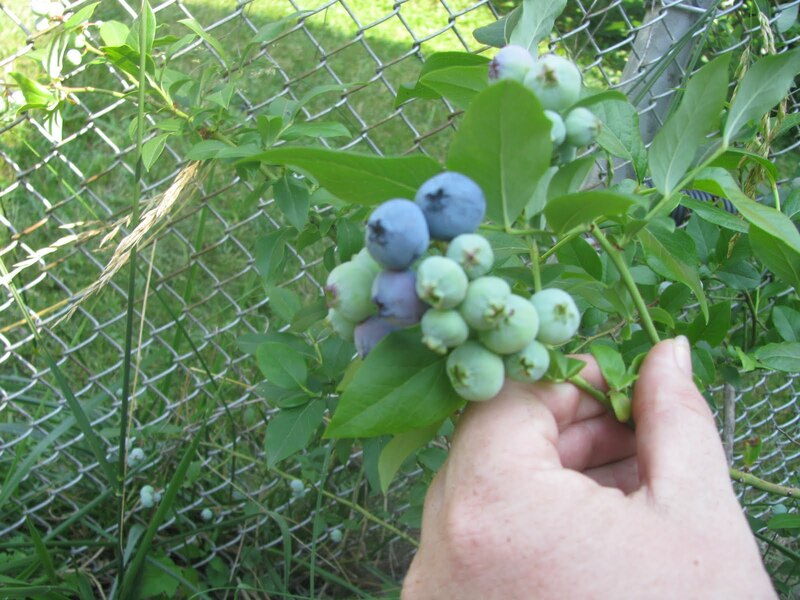 We’re picking blueberries and red raspberr ies each morning. Native perennials, including black-eyed susans, enchinacea, and joe pye weed sit halfway through the garden, which lines our east fence. It’s an average size yard for a single family (not a rowhouse) in Baltimore. Finally, we compost. Everything. Weeds, food scraps, old plants, coffee grounds- you name it. I keep the compost super hot all summer to keep the rats out, then I’ll si ft some almost-there compost and feed it to a 5 gallon bucket of worms. 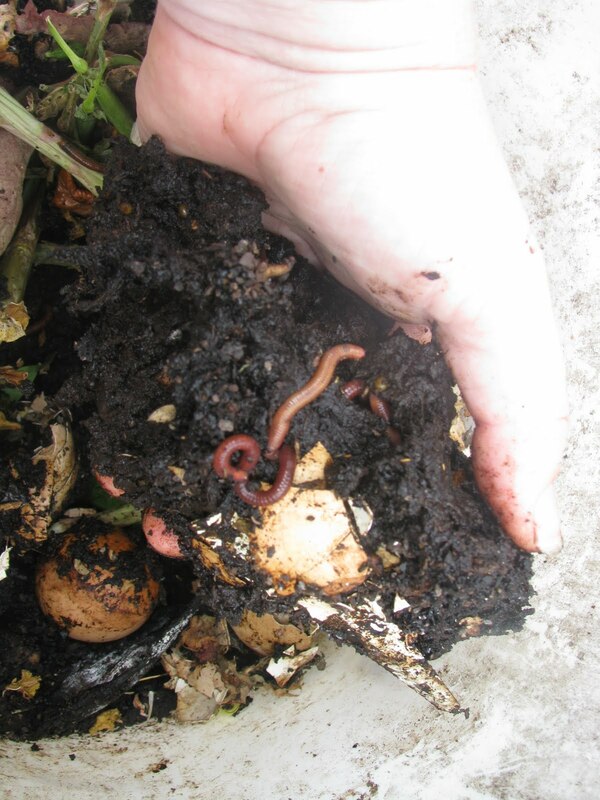 Whenever the buckets fills up, I drop handfuls of worms in each of th e garden beds. Kate, its good to see other's growing food in Baltimore City. My yard isn't quite your size. I wish I had the space that you seem to have to grow blueberries and raspberries. I compost also — mostly grass clippings. I need to know how to speed up my composting. It takes FOREVER. Maybe I need some type of compost activator to help the process. You seem to have it together on your end.